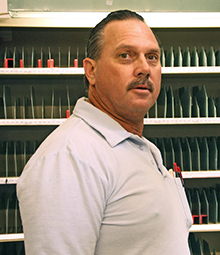 Santee, CA, Letter Carrier David Crestik was delivering mail on his route when he noticed dark smoke pouring out of one home. Crestik rushed to the house and looked through the screen door, where he saw a woman lying on the floor. Crestik went inside, lifted the woman off the floor, put her over his shoulder and carried her out of the house. Once she was safe, Crestik called 911 and waited for firefighters and paramedics to arrive. Crestik continued with his route. No one knew of his heroic actions until the woman’s granddaughter called the station to thank him. When Crestik was asked about the heroic rescue, he confirmed the story. Crestik later received a plaque from the mayor, who also declared a day in his honor. David you da man! All in a day’s work buddy!